Credits: "Neven Krcmarek at Unsplash.com"
Everything that we put into our body has more effects than just providing nutrients. 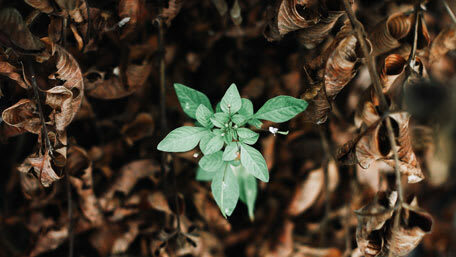 In most traditional healing modalities, foods and herbs are considered to provide a warming or cooling effect. By consciously choosing those with specific effects, we can influence imbalances with herbal tea. Cooling herbs, called refrigerants, can provide a wonderful refreshment in the summertime, and assist you in staying cooler. 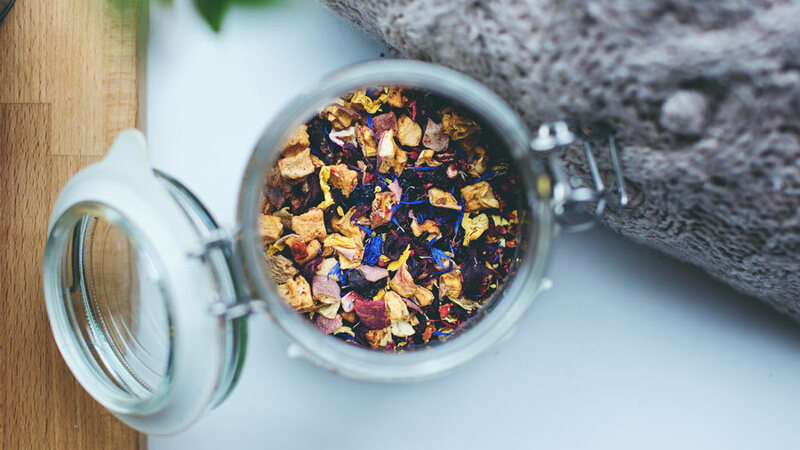 While it is preferred by herbalists that medicinal teas be taken at room temperature or warm, iced herbal teas in our diet in the summer are a true delight. Hibiscus is a tropical flower that has a sour/tart taste. Combined with a sweetener such as honey, and iced, it makes a wonderfully refreshing drink. 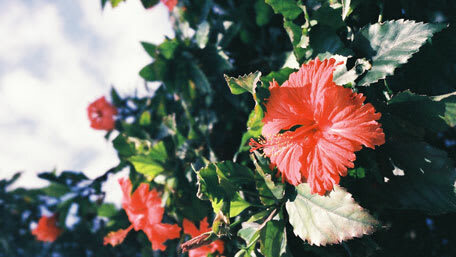 Hibiscus is high in vitamin C and antioxidants. 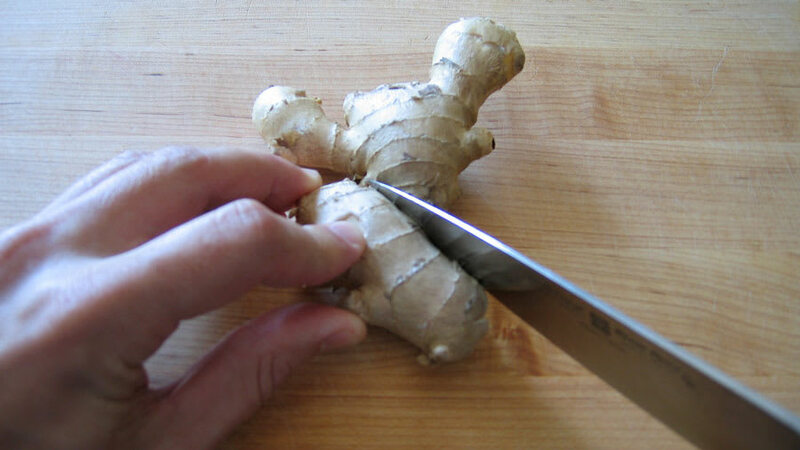 It is anti-inflammatory and may help to lower blood pressure. Dandelion root is known as a bitter herb. 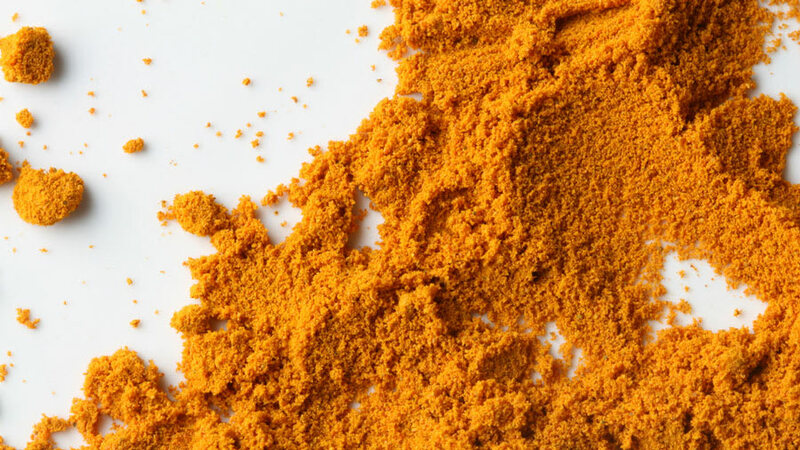 These herbs are generally cooling as well as supportive to the liver. 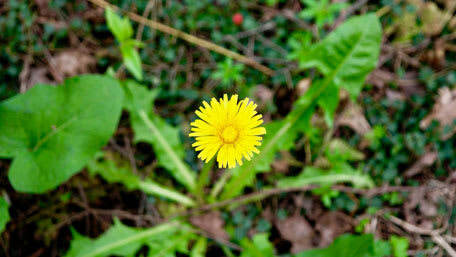 Dandelion is a gentle, detoxifying herb, has potential anticancer activity, and adds a grounding energy to your drinks. Mints such as Spearmint or Peppermint, familiar tastes, are cooling and refreshing in a drink. They are easy to grow and a great way to add excitement to a beverage. 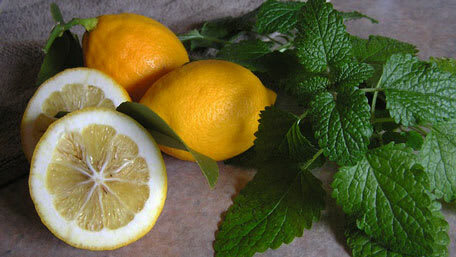 Lemon Balm is another easy herb to grow in the garden. It’s lemony flavor and scent makes a great tea alone or in combination with other herbs. It is calming to the nerves, great for anxiety or stress, has antiviral actions, and an antidepressant. 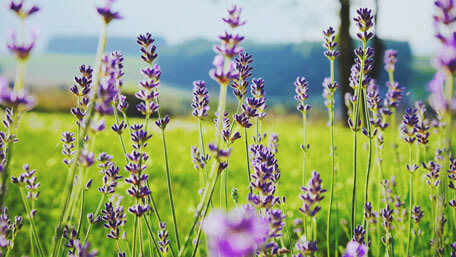 Lavender makes a fragrant and cooling addition to tea. It calms the nerves and relieves stress. 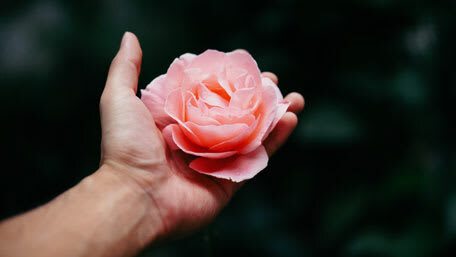 Rose Petals make a visually beautiful addition to any tea, but they also offer a nice comfort to the heart and a fragrant taste. They are high in antioxidants and cooling to the body. 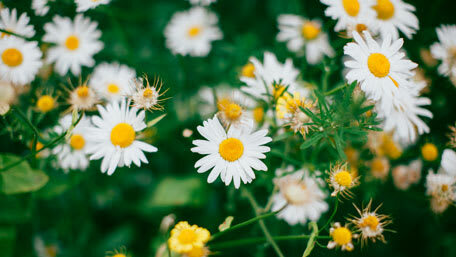 Chamomile is a well-known herb used for calming the nerves. It has a sweet, fragrant taste that is enjoyed by most people. It is great for relieving digestive discomfort and a perfect tea for those who tend to experience stomach upset with nervousness or stress. 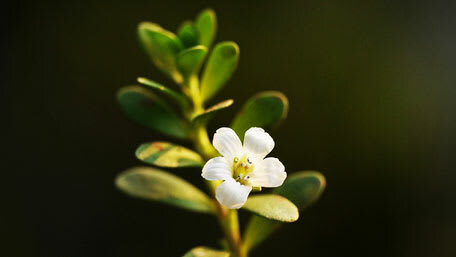 Brahmi, or Bacopa Monneri, is an Ayurvedic herb that is calming to the mind. It is great for mind fog, anxiety, or stress. Combine herbs in a one-quart container. Pour one quart of boiling water over the herbs. Cover the container and allow to steep for 15 minutes. Strain the herbs out of the tea and allow to cool in the refrigerator. Add ice if desired. Combine herbs in a one-quart container. Pour one quart of boiling water over the herbs. Cover the container and allow to steep for 15 minutes. Strain the herbs out of the tea, stir in 2 Tbsp of honey, and allow to cool in the refrigerator. Add ice if desired. Place herbs and 1 quart of cold water into a pot and bring to a boil on the stove. Cover, reduce heat and allow to simmer for 20 minutes. Strain herbs and enjoy sweetened or without sweetener. This makes a great morning hot tea or iced in the afternoons! Great for stressed out or frayed nerves! Try these teas as refreshing cooling herbs in your drink or soak a cloth in the tea to apply to overheated or irritated skin. 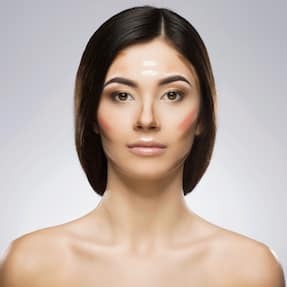 It provides instant relief!